Offers you an exquisite King size feather bed with canopy, deep whirlpool tub, private entrance, patio & bath with vanity and forever views of vineyards and Oak studded hills. Explore the amenities by day, sip wine in front of a beautiful fireplace and enjoy a gourmet breakfast every morning. High Ridge Manor is a Paso Robles Bed and Breakfast located among some of the most beautiful vineyards and oak studded hills of Paso Robles, California. High Ridge Manor Bed and Breakfast was Voted one of the Top 14 “Most Romantic B&B/Inns in the United States by Traveler’s Choice Award! 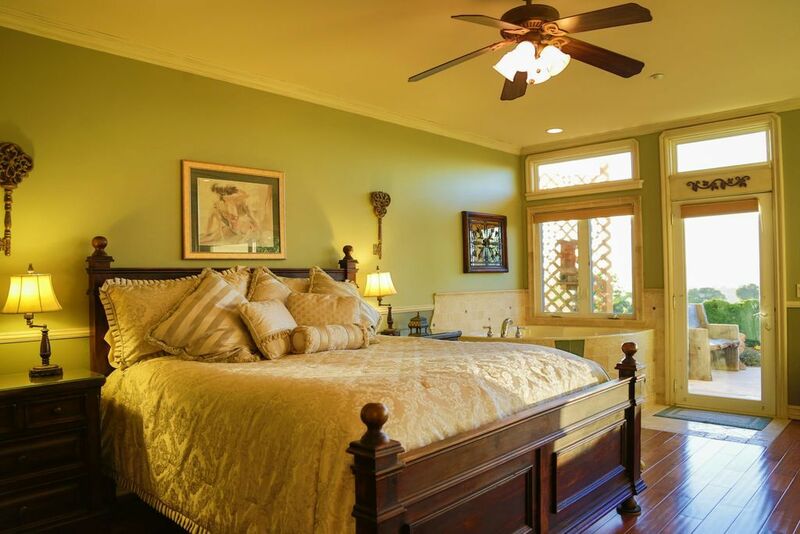 A beautiful Paso Robles Bed & Breakfast featuring the “Best Views in Paso Robles!” Please enjoy our hospitality while you explore the best that the Central Coast Wine Country has to offer. Paso Robles is known for its amazing wines, unique shopping and sweeping country views. You won’t be disappointed! 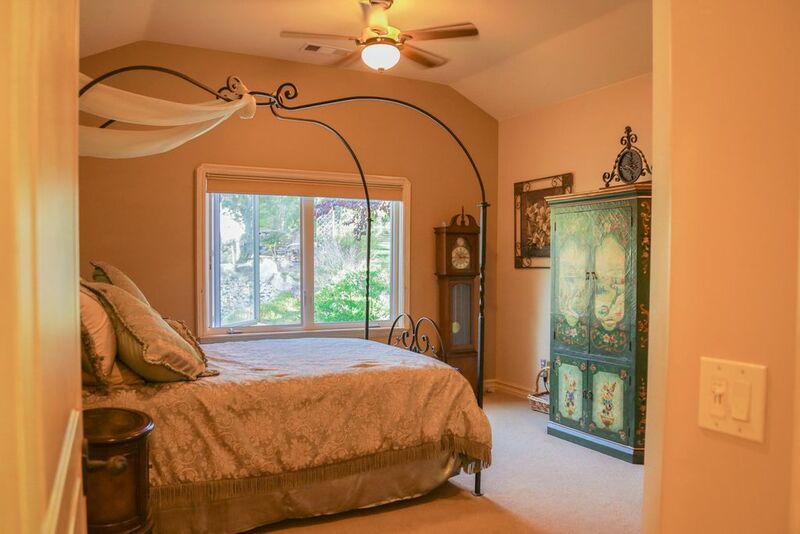 High Ridge Manor Bed and Breakfast is known for our gourmet breakfasts and afternoon Wine and Cheese Hour @ 5:00 P.M overlooking vineyards, oaks, hills and Paso Robles itself! Beautiful place, amazing hospitality, delicious food. They treat you like family, the chef cooks amazing meals that are to die for. One of a kind experience, I plan on staying there many times in the future, I highly recommend if you are in the area. I was told about this destination by a very famous friend of mine. He said they call it a bed and breakfast. I have to be honest the name bed and breakfast scared me. When I arrived I was amazed. I figured that I would be staying at small house, sharing a bathroom and having whatever they made for breakfast…. This place is beautiful. This was the most relaxing getaway I’ve ever had. The staff is friendly and so accommodating. Our breakfast was gourmet level, and it was delicious. If you’re looking for a place to clear your mind, this is it.